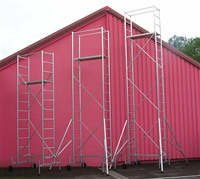 Manufacturer of high quality and custom scaffolding, Ultralu is a 100% French manufacturer. 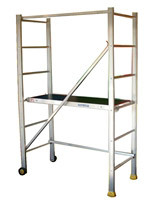 With a long experience in aluminum manufacturing, Ultralu offers a wide range of scaffolding, stair treads, aluminum facades, work platforms, PIRs and crinolines and ladders. Ultralu demonstrates an innovative design and is close to users. 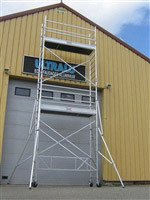 Ultralu products are easy and fast to install for economical use under optimal working conditions. 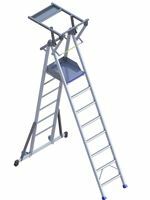 Ultralu scales are manufactured with a patented bar clamping system that does not weaken the amount, thus meeting the requirements of the most stringent tests of the standard and have tips for easy use for the user. Ultralu has been ISO 9001/2000 certified since 2004. 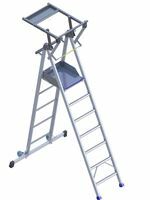 Ultralu offers almost all wheeled scaffolding certified to EN 1004, and complies with the 65-48 or 2004.924 decrees in France, and EN 131 certified ladders and stepladders, thus guaranteeing its business partners a purchase safely.